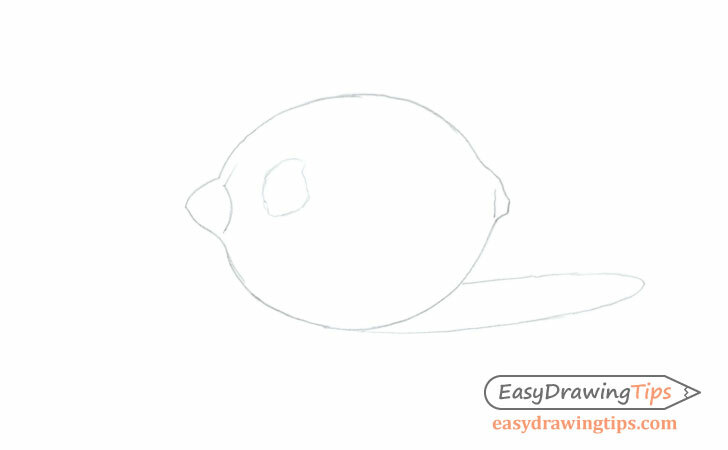 This short step by step tutorial explains how to draw and shade a realistic looking lemon from the side view with a focus on it’s texture. 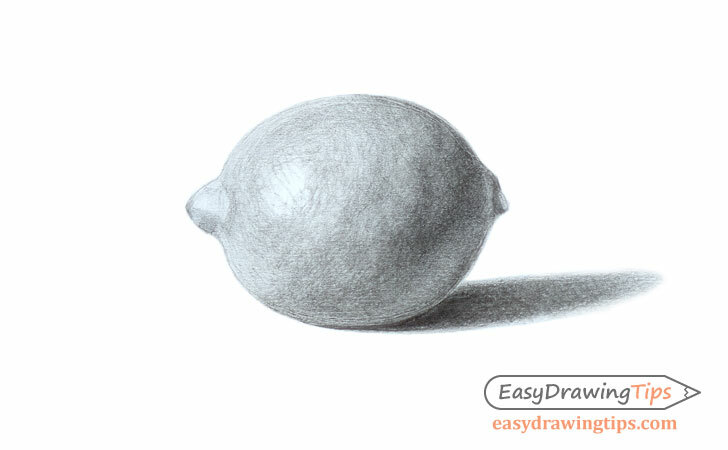 A lemon is a fairly simple shape to draw so the focus of this tutorial is mainly on how to shade it in order to give an appearance of a rough slightly uneven surface. Be sure to make light lines for the initial stages of the drawing so that you can easily erase them if you make a mistake. Also please note that while the examples in this tutorial are done using pencil some of the tips can still be applied to drawing in other medium. 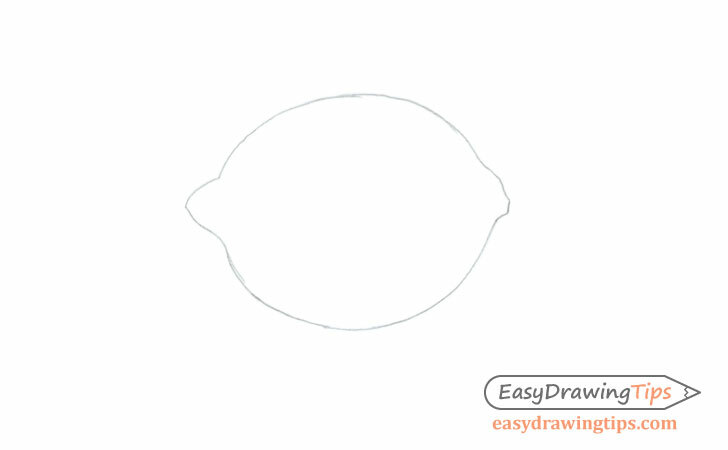 Start the lemon drawing with a simple outline of it’s shape. Obviously different lemons can vary in shape slightly but generally it will be an oval with two bumps on each side. Add some more lines to better define the shape of the lemon. 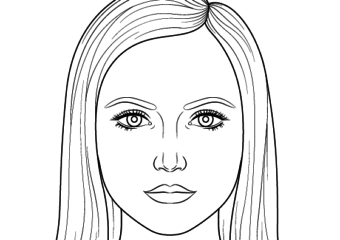 You can draw a light outline of the highlight and shadow to help with the shading. In this case the light is coming from the top left so the shadow will be on the right side. As already mentioned lemons have a slightly uneven surfaces with very light bumps and indents and a fairly grainy texture. Being able to show this effectively with shading is what will make the drawing look like a realistic lemon. 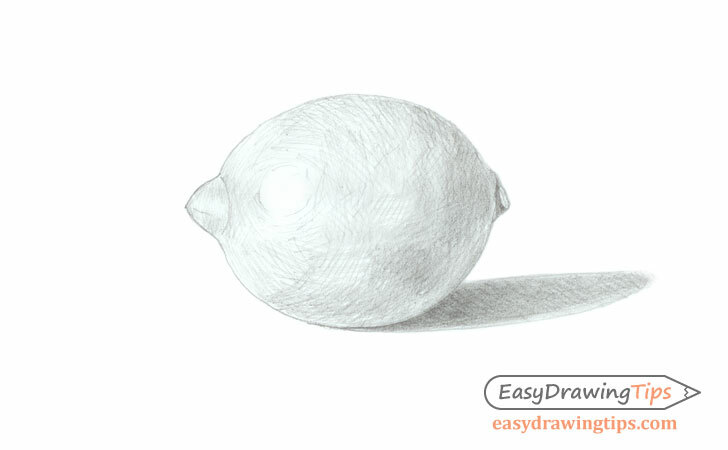 Start the shading by making fairly short straight strokes that curve around the shape of the lemon. 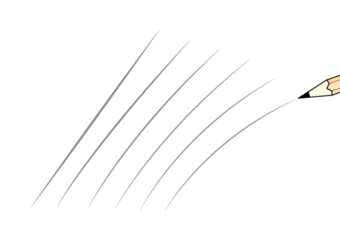 You can make the initial strokes fairly far apart and continue to apply more sets of strokes over top them. 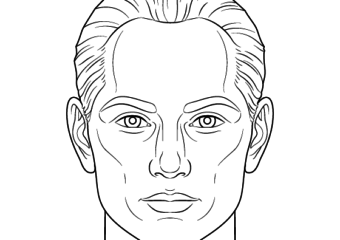 Shorter strokes will help give it that sort of “spotty” surface look. As the light is coming from the top left of the drawing that area of the lemon will be lighter transitioning into a darker area on the right side. The bottom right of the lemon will also be lighter as it is illuminated by the light reflecting from the surface the lemon is on. Keep in mind that this area should still be significantly darker than the one lit up by the main light source. While the lemon itself will be shaded very similar to a sphere or an oval try and keep some lighter spots on the darker side and some darker areas on the light side. This will again help create that “uneven” surface effect. Shade the shadow cast by the lemon darker towards the lemon and light as it gets further away. As you apply more strokes the surface of the lemon will appear slightly smoother but leave some overlapping strokes on the lighter side. 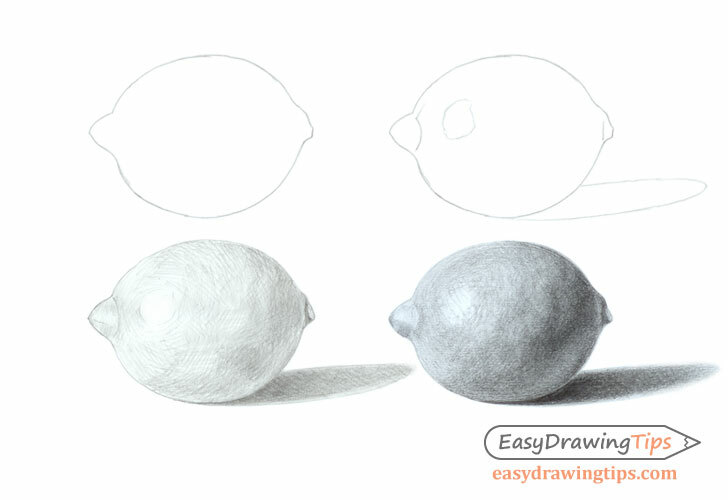 Don’t overly blend your drawing as some visible strokes are what will give the lemon that sort of “grainy texture”. Unlike the lemon you can make the shadow fairly smooth and blended so there are almost no visible strokes. Leave the highlight area pretty much white (with a smooth transition into the darker surrounding area) but do go into it with just a few strokes to again help give the lemon a rough looking surface. Once you are done with the shading you should have a finished drawing of the lemon. 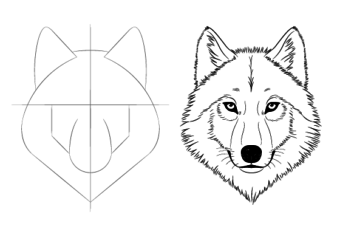 This tutorial can particularly be helpful if you are looking practice drawing different types of textures. Though the outer shape of the lemon itself is very simple showing the slightly uneven surface and rough texture can be more of a challenge.